Data and information are the life force of business today. Like other valuable assets, they must be acquired, organized, maintained, and managed for optimum business performance. Metaview360 has helped many companies like yours to develop and implement their data management strategies. Data quality, clarity, and organization dictate the way that your business is able to communicate within your organization, as well as with suppliers, customers, partners, and regulatory agencies. In today’s world, information management is critical to the effective management of your business. Metaview360 uses a proven architected approach to understand and document the state of your data at the Enterprise, Data Warehouse, or other Information Project level. 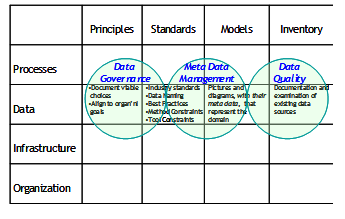 The data architecture is comprised of data Principles, Standards, Models and Inventory. Integrated within your overall information systems context, it becomes the basis for implementing your data strategy. Spurred by laws and competitive pressures, the top levels of businesses are stepping up to the requirement for this critical management function. 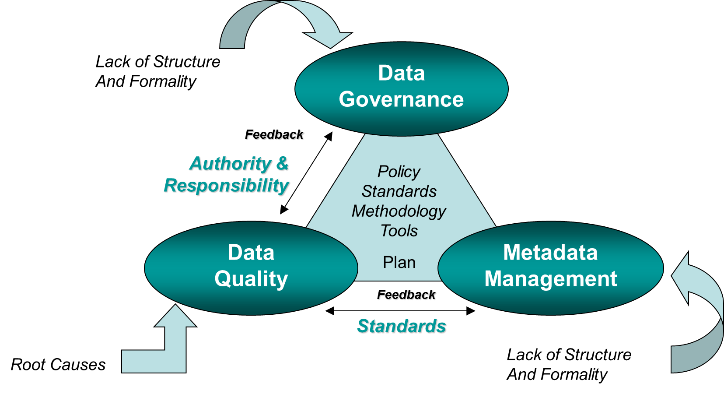 Metaview360 mentors organizations while developing data policies and standards that address organizational accountability, data definition, security, availability, and retention. Experienced consultants guide management to define its data governance agenda and to construct the appropriate organizational roles, charter and procedures to launch a successful data governance initiative. Metadata is the structured description of your data and information assets, from both the business and the technical perspectives. An effective meta-data management environment captures metadata from all points in your Data Warehouse development process, organizes it for analysis, and makes it available to all the processes and people that need it. Specialized databases, metadata repositories, provide you with the services to support your effort. The metadata solution you select should allow you to collect, analyze, organize, and share metadata in your environment. Metaview360 has specialized expertise in metadata repository technology to help you to evaluate and select a solution to meet your needs.